Fourteen senior undergraduate students of Wayamba University, who were arrested over assaulting two freshman students for taking a stand against ragging, have been ordered to be remanded until 28th of January. 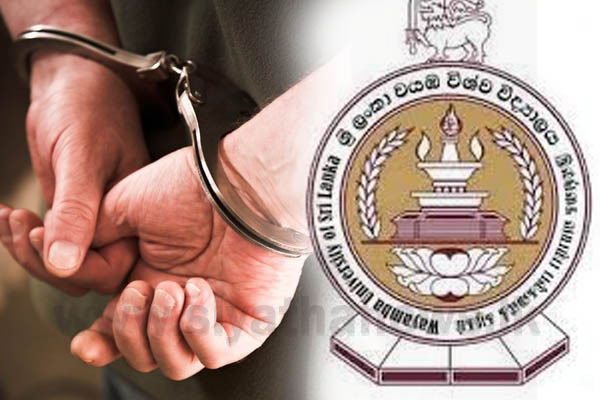 Kuliapitiya Magistrate Janani S. Wijetunge issued the order when the suspects were presented to the court yesterday (21). Presenting submissions before the court, the police stated that the suspects have violated the first and third Articles of Prohibition of Ragging and Other Forms of Violence in Educational Institutions Act No. 20 of 1998. Accordingly, the Magistrate ordered the police to submit a complete report on whether the suspects have also violated the second Article of the Act. The Magistrate further called for a medical report of the freshman students allegedly assaulted by the arrested senior students.